Sitting in the Canadian Rockies, Golden B.C. is surrounded by six of Canada’s most stunning national parks; Yoho, Glacier, Banff, Jasper, Kootenay and Mount Revelstoke. Use Golden as your base from which to experience the spectacular scenery, iconic hiking trails, waterfalls, lakes and heritage sites of the national parks. 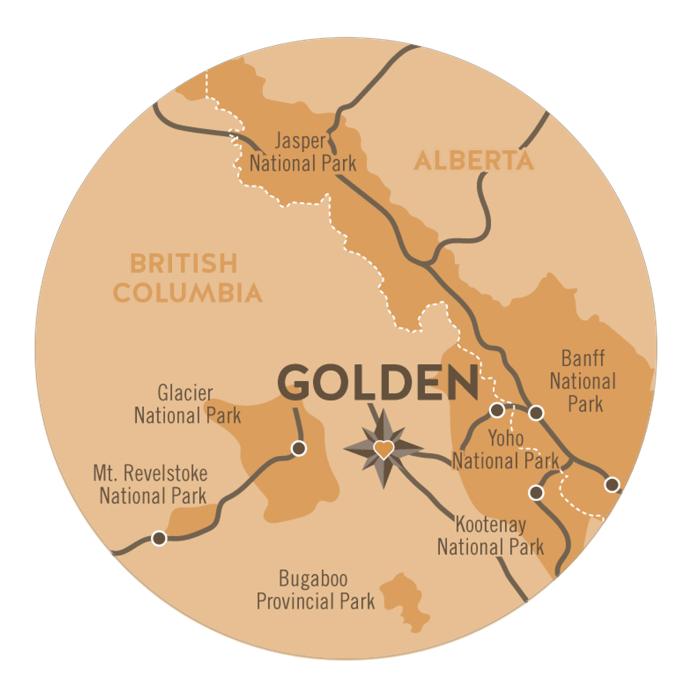 Welcome to Tourism Golden, the official tourism site for Golden and Kicking Horse Country, BC Canada. With a varied selection of accommodations and many activities to experience in spring, fall, winter and summer, including family-friendly activities, the friendly mountain town of Golden continues to be a perfect holiday destination from which to enjoy and explore the Canadian Rocky Mountains.